Virgin Media have taken another step to force ISPs to up their game on business broadband with the launch of ultrafast 350Mpbs Voom Fibre. The deal offers 350Mbps speeds as standard from £30 a month, and will be available from May 2 2017. Existing Virgin business broadband customers can claim the speed upgrade by registering here. The basic Voom Fibre package will cost £30 a month with two upgraded options priced at £40 and £55 a month. The cheapest package guarantees uploads of 7Mbps, moving up to 15Mbps and 20Mbps uploads for the more expensive deals. The extras aren’t officially available yet, but of course BroadbandDeals.co.uk has the skinny for you ahead of everyone else. 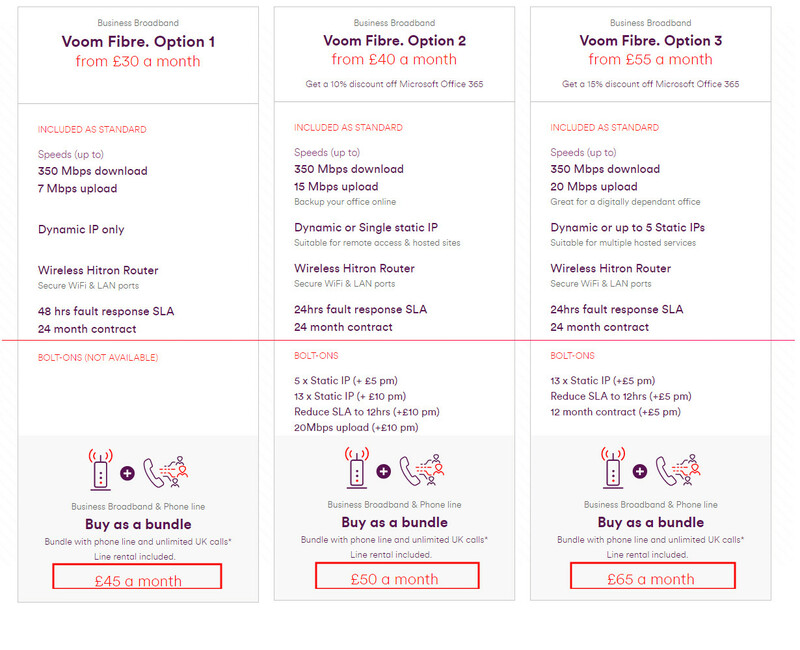 There’s a bunch of stuff you can add on to Voom Fibre including IT support, extra lines and even SIM-only deals. Peter Kelly, Managing Director of Virgin Media Business, said: “We have for many years now been the champions of small business, in particular entrepreneurs. 99 per cent of small businesses say broadband connectivity is important to them, according to the latest British Chamber of Commerce (BCC) survey. But companies in rural areas struggle the hardest from slow and patchy connections. Latest: How bad is rural internet? What can you do about it? More reliable broadband would allow the 5.4 million small and medium size businesses across the UK to grow and develop faster, say the BCC. Nearly half told the business advocacy group that they would could get more employees online remotely, use cloud services and transfer large files if they had faster business broadband. 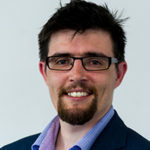 Dr Adam Marshall, BCC Director General, said: “Business communities across the UK still report that our digital infrastructure is not fit for purpose. Throughout the country, significant numbers of companies of every size and sector lack reliable internet connectivity – a basic requirement for businesses to operate efficiently in today’s world. “The immediate focus must be on providing all companies with connections that are reliable and of sufficient speed, which would boost business confidence and encourage firms to maximise opportunities for growth, trade and investment. Peter Kelly posited Voom Fibre as a direct challenge to competitors EE, Sky and TalkTalk.